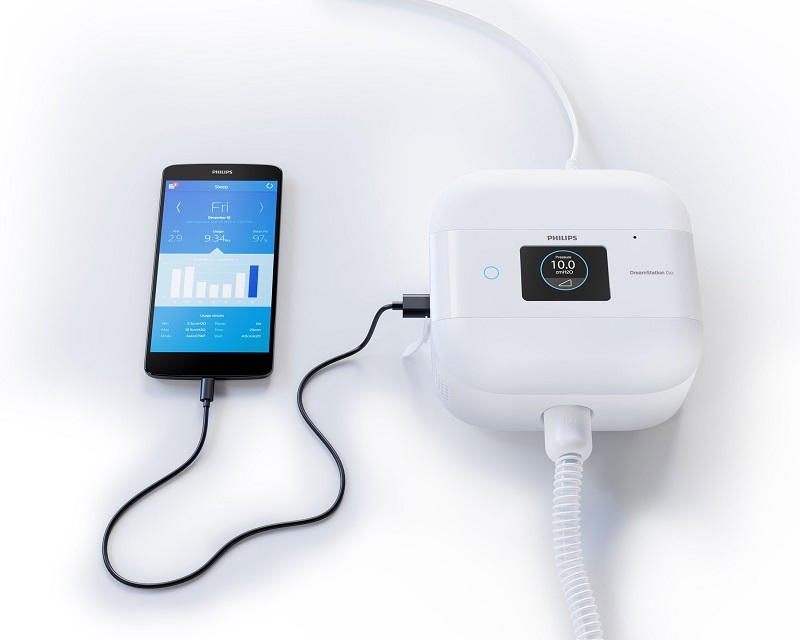 DreamStation GO is the new mobile CPAP machine from Philips that you can use on the go. 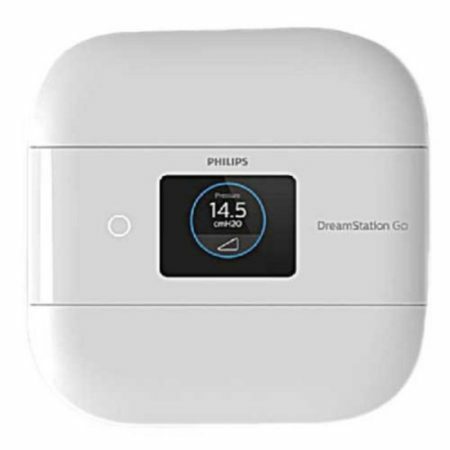 This stylish new, convenient, and easy to use machine is fully integrated with Philips’ DreamMapper App, allowing continual sleep tracking convenience for you. Includes 5 year manufacturer warranty standard. 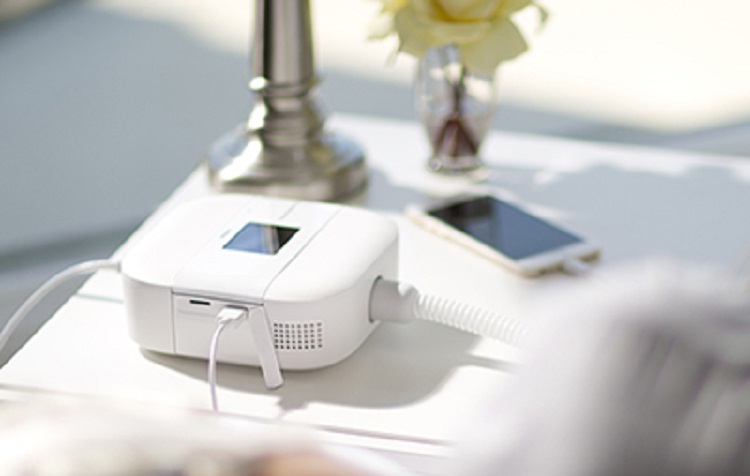 Easy-to-use touch screen, just like your phone or tablet – you can even charge your phone through the device! The unique size is lightweight (800g), easy to carry and easy to use. 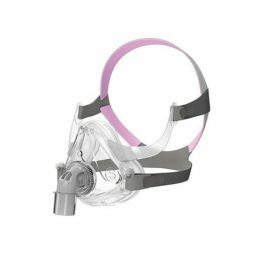 The DreamStation GO allows you the freedom to use any brand and any style of mask. 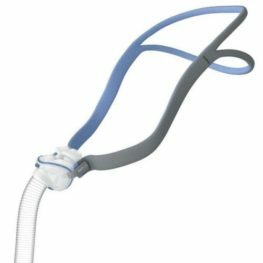 Automatically assesses user breathing patterns and provides pressure relief at the beginning of exhalation while also easing pressure transition from inhalation to exhalation, in an effort to mirror the user’s natural breathing on a breath-by-breath basis. 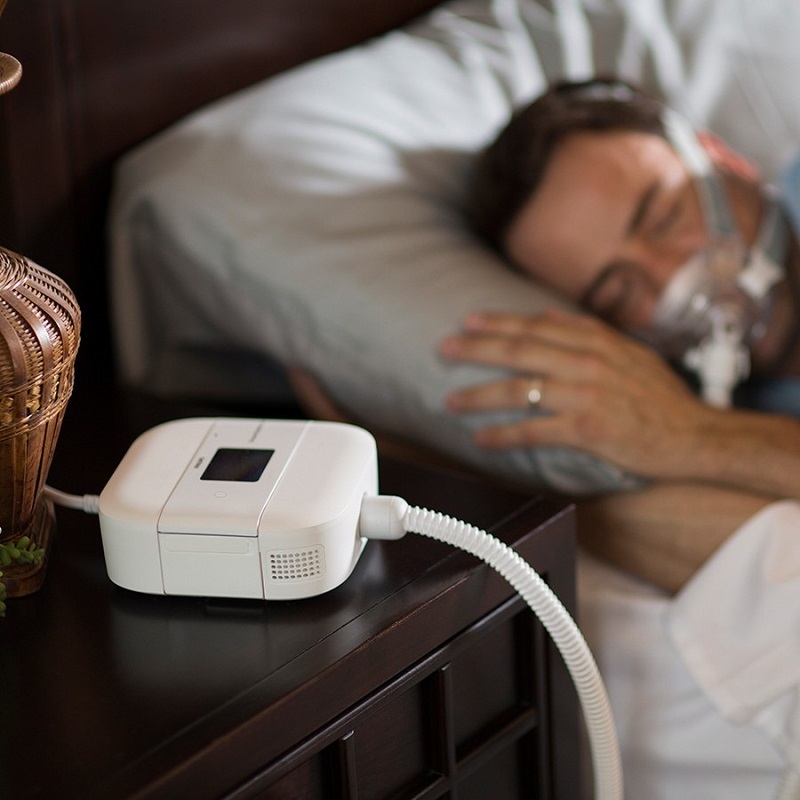 Flex delivers the right amount of pressure at the correct time, making it much easier to persist with CPAP therapy. New 12mm micro-flexible tubing is designed to provide you with the added freedom of movement. The 12mm tubing is 58% smaller than standard 22mm performance tubing. 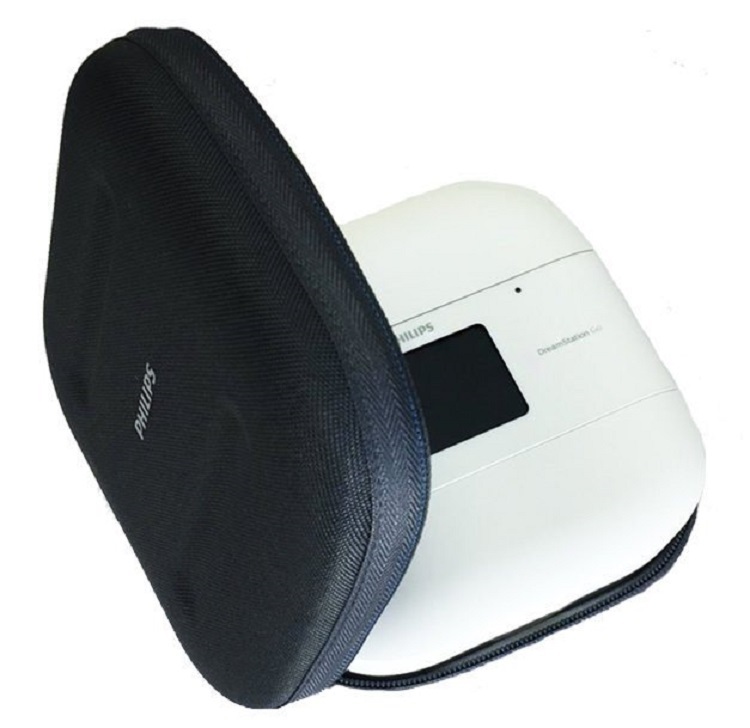 It offers enhanced flexibility and portability with click-connections on each end which makes connecting and disconnecting the device and mask simple. 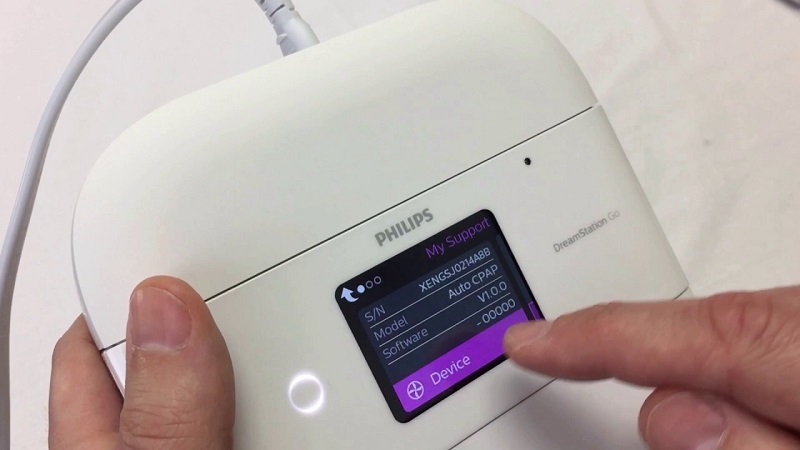 Patients can track and monitor their combined progress across both home and portable devices in one convenient dashboard on a smartphone, tablet or computer. Manufacturer’s Australia 5 year warranty included. FAA approved rechargeable lithium battery integrates with the DreamStation Go. Great for travelling off-the-grid or for power back up. This is an optional extra available from our accessories section. Be the first to review “Philips DreamStation GO CPAP (fixed pressure) Travel CPAP” Click here to cancel reply.